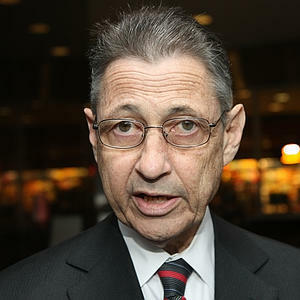 Democrat Assembly Leader Sheldon Silver’s unethical coverup of sexual harassment claims against prominent politicians and former staff, has been covered extensively here at the Mental Recession. Despite what would seem like a tactic that should be universally denounced – using taxpayer money to pay off victims of sexual harassment – all of New York state’s top Democrats have stood by Silver. Deligitimizing the seriousness of women being the victims of sexual harassment – or in the case of Silver’s former staff member, J. Michael Boxley, sexual assault – seems like a risky play for a party constantly beating the drum of Republicans being at war with women. Now however, a Democrat Senate candidate is bucking her own party by calling for a thorough investigation of Silver, and also claiming that she too has been the victim of sexual harassment by what she called the “good ol’ boy” network in New York politics. Democratic Senate hopeful Monica Arias Miranda claims she was sexually harassed routinely by male co-workers when she worked as a budget analyst for the Assembly Ways and Means Committee. She says she never filed complaints about the abuse because she feared retaliation from the “good ‘ol boy” culture in the Legislature. Miranda, who faces two other Democrats in Thursday’s primary, has called for an investigation into Silver — a risky move for a Democrat, but one that is sure to set her apart from her opponents in her suburban Albany district. “Why are elected officials calling for Mr. Lopez’s resignation yet are not willing to say the same about the speaker, who is the one responsible for using $100,000 of tax-dollar money to hush the sexual harassment allegations,” she said at a press conference yesterday. Silver approved a payoff of more than $103,000 in taxpayer money to silence two of Lopez’s alleged victims. It should also be noted that had Silver done a proper investigation into the initial victim’s claims, the subsequent instances of harassment that led to Lopez’ eventual punishment may never have taken place. Silver is an accomplice to the second pair of victims being groped and sexually harassed. We continue to call on the resignation of Mr. Silver, but even more so, we are calling on other prominent Democrats in New York state to ask for the same. It’s time New York Democrats took a stand that actually helped women, instead of using them as pawns for their own political aspirations. Previous post Smartest President Ever: Three Words - "Made in the USA"